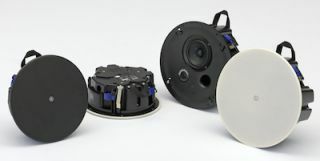 The What: Yamaha has added four new models to its Commercial Installation Solutions (CIS) VXC Series ceiling speaker lineup. The What Else: The VXC3F, VXC3FW, VXC5F, and VXC5FW feature an extremely low profile, but designed specifically for high-quality BGM playback. The depth of the back box has been reduced compared to the standard VXC4, VXC6, and VXC8 models, providing even greater installation freedom and flexibility. Like the standard types, the VXC F models support both low-impedance and high-impedance operation, and include a number of features that contribute to faster, safer installation.